Your questions and/or comments are highly valuable to us. 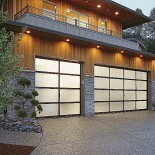 5 STARS GARAGE DOORS AND GATES welcomes your comments, questions and feedback. Please take the opportunity to send us a message by filling out the form below.